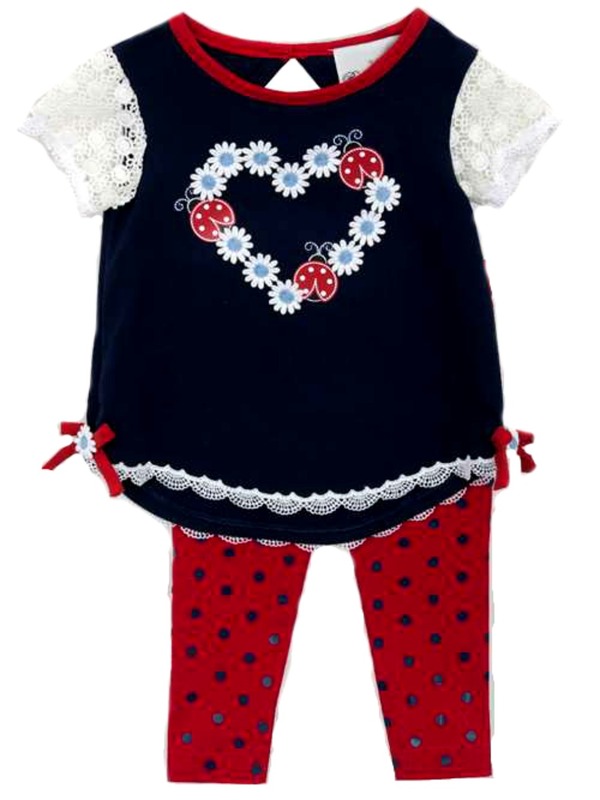 Adorable navy knit tunic features daisy heart design and matching red print stretch knit legging. Machine wash. Imported.